Brazilian midfielder Diego has revealed that Premier League giants Arsenal have expressed an interest in him. The talented playmaker was once one of the hottest properties in the world of football, making his name at Werder Bremen after impressing with Portuguese side Porto from 2004 to 2006. Now, the midfielder’s contract is set to run out at current club Wolfsburg, making him a free and enticing option for Arsene Wenger’s league leaders. “I know there is interest from Premier League clubs. 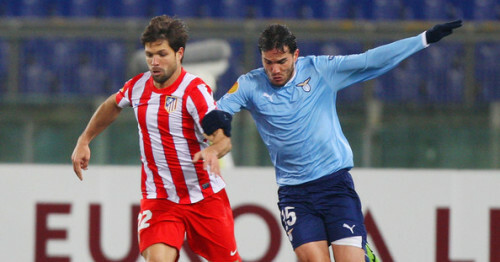 I have heard Arsenal is one of them,” Diego admitted, according to Sky Sports. Diego went on to admit that he would jump at the opportunity to play at the Emirates Stadium considering their playing style, opening the door for a move by Arsene Wenger as soon as January, when the club would be allowed to discuss terms with the player under the Bosman ruling. “It would be the ideal destination for me because their style suits my characteristics perfectly. Of course I would say yes to Arsenal,” the 28 year old revealed, according to Sky Sports. Arsenal signed free agent Mathieu Flamini this past summer, but with Spanish midfielder Mikel Arteta due to turn 32 years old in the spring the Gunners may be looking towards a younger pair of legs in the heart of their midfield. If Diego does make the switch, he will complement the likes of Jack Wilshere, Aaron Ramsey, Mesut Ozil, and Santi Cazorla behind the strikers. Should the Gunners make a move for Diego? Have your say below! Where are the English Clubs that are ready to look at Young English Players with TheSpanishWay?